Your furniture is made by a talented team of artists, designers, and makers. Together, our 3-person core group boasts 4 art degrees, 25 years of combined experience, and unlimited passion for art, design, and wood. In addition to our core, Chisel works with 6 part-time apprentices, who contribute their talents while learning the craft. Rachel McKenna is the designer, maker and educator behind Chisel. She makes multimedia sculpture and furniture that focus on material interaction, the act of making and empowered physicality. She teaches 3D making of all kinds, with a love of sculpture and woodworking. She holds a MFA in Applied Craft + Design from the Pacific Northwest College of Art and the Oregon College of Art and Craft and a BA in Visual Art and Furniture Design from Brown University. Her sculpture has been featured in galleries and shows across Portland, Oregon, including PDX Contemporary in the Pearl, and her furniture is installed in homes and businesses throughout the Pacific Northwest and California. My story is all about time. I spent a lot of time doing things I didn't love. No matter what I was doing, though, I found myself spending my free time fiddling, building, and creating things. Making stuff just came naturally to me. I didn't commit to any specific medium, but was inspired by every little project that crossed my path. I was always tinkering. When I got older, I taught myself woodworking -- from fundamentals to the advanced techniques I now use every day. I bought wood and built a shop, and over 10 years later, I am letting the ideas soar. 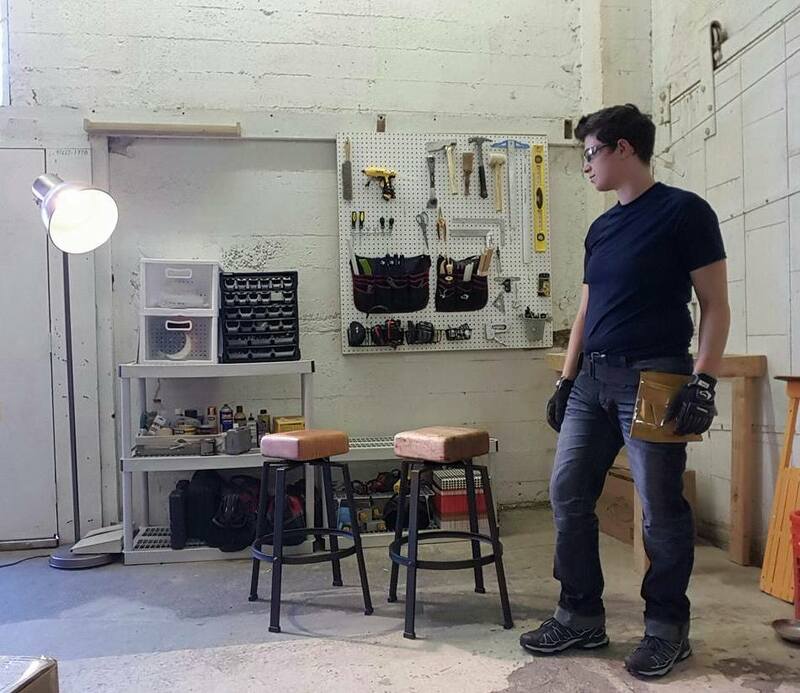 Ryder Sherwood is a designer, teacher, and furniture maker. He is interested is how people live best, and creates objects and spaces that enhance everyday experiences. Chisel Creative provides educational apprenticeship opportunities to individuals who want to learn woodworking and furniture design. These fantastic members of the Chisel Creative team help out in the studio during the week, and learn new skills and ideas in weekend furniture design classes.